Step into the world of AGRICULTURAL INVESTING! Carsten Pfau and his experienced team will guide you to PASSIVE PROFITS investing in peaceful Paraguay. Consider generating long-term yearly returns as an owner of your very own Paragayuan plot of land. You’ll be seeing GREEN! Carsten has been personally investing in traditional real estate and agricultural real estate for years and years. He has a business degree from Mannheim University and lived in Paraguay for over twenty years … He knows the language and the culture. Expand, diversify and GROW your portfolio! Leverage Carsten’s business-minded sensibility, familiarity with the terrain and his powerful, boots-on-the-ground team. YOU can OWN farmland … without actually having to manage a farm. Professional farming experts do all the work of running things for you … You enjoy the profits. So what kind of farm are we talking about? Glad you asked! Partner with Paraguay Ag Invest and before you know it … You’re a proud Paraguay landowner and producer of sweet, ORANGES, grass-fed CATTLE and FRESH PRODUCE. YOU can DIVERSIFY your portfolio into OFF-SHORE agricultural LAND that produces a basic human need … FOOD … in GLOBAL DEMAND! It’s actually quite simple to get in this game. And last time we checked, land and food are not going out of business any time soon. Simply fill out the form below, and the folks at Paraguay Ag Invest will be in touch. Best-selling author James Rickards (Currency Wars and The Death of Money) recommends land as a place to store and protect wealth from the dangers of paper currencies. In spite of the recent blip up, the dollar has a 100 year history of going DOWN, so it probably makes sense to “sell” dollars when they’re “high” and buy real assets…like real estate…especially when those real assets are on sale. BUT…the challenge is that land doesn’t cash flow like little green houses. Or does it? The beautiful thing about real estate…one of many beautiful things…is there are SO many different ways to make money. Real estate investors can do just about anything a paper asset investor can do, but be much more insulated from the corruption and rigging in financial markets. Most people think of real estate investing as the house they live in…maybe a second home…or even a rental property. More serious investors look at multi-family, commercial, retail…and maybe even industrial. But if you think back to the very beginning of real estate ownership, the PRIMARY purpose of land was to produce food. And last time we looked, food is still a pretty important commodity. So while residential real estate investors…landlords…need to pay attention to jobs and wages, agricultural real estate investors (and mineral investors…like oil and gas producing properties) need to pay attention to commodities. It isn’t really more difficult than employment and wages. It’s just different. And if you want your land to cash flow, you don’t need little green houses or big red hotels. You can rent your land to farmers. This is a subject that’s intrigued us for quite some time. When financial markets are jittery, it can be smart to focus on “primal” investing…things that are essential to human existence. Because even in difficult financial times, there’s always a demand for essentials…like food and shelter. 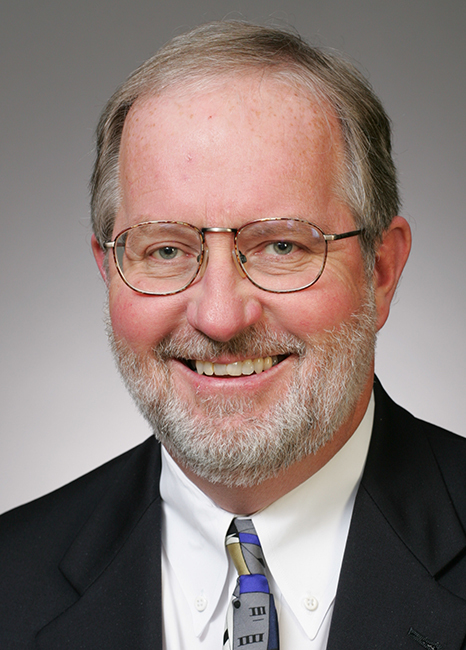 In this episode we visit with Dennis Gartman, who’s one of the most well known and respected financial commentators. We ask him about macro-economic factors which impact not just farmland and commodities, but residential real estate as well. You should listen to his comments, but the short of it is he likes housing. Cool. So do we. Next up is Steve Bruere. Steve is a very experienced farmland broker from America’s heartland. We’ve been talking about agricultural investing for the last couple of years, but haven’t focused much on U.S. farmland. Steve helps us understand some of the how and why of U.S. farmland investing. When we look at the world, we see more mouths to feed. And while we’re not quite sure where all those mouths will want to live and work, we’re pretty sure they’ll all want to eat. And because the fruit of the land can be shipped to where the people are, farmland investing can be a great way to get in on the action without having to rely upon the local economy. Just think about investors with properties in the Bakken. If oil prices stay down long term, North Dakota might not be very profitable for real estate investors. 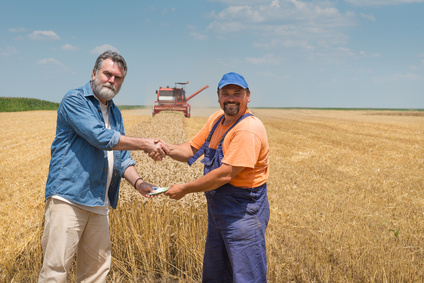 Another nice feature is that renting to a farmer is like owning a hotel property and renting to a hotel operator…or like renting a commercial property to a business. EXCEPT…you don’t have the tenant improvements and other expenses of maintaining a physical structure. It’s more like a NNN lease. So farmland investing can be a great way to store wealth in real estate long term, while generating cash flows while you wait. And if the the local path of progress brings people to your pasture, then you can put up some buildings…or sell to a developer…and move your equity to a new market. Call us paranoid (we’ve been called worse), but all the worldwide currency and credit expansion makes us a little nervous. Sure, we like it when asset prices rise. But they’re supposed to go up because of fundamentals…things like supply and demand, cash flow, a strong labor market. But right now, asset values…especially stocks…are going up like there’s no tomorrow. That’s great if you own stocks, real estate, collectibles, etc. But last time we looked, your tenants don’t own those things. What they get instead is rising prices on food, energy…and now healthcare. Meanwhile (notwithstanding minimum wage workers in Washington State), labor and wages are soft. Hence, landlords aren’t pushing through rental increases, even when supply and demand says they should be able to. All this to say, while you’ve been busy working your day job, as your erstwhile surrogates, we’ve been traveling the globe looking for solutions. How can you perk up your portfolio with more profit producing properties? After all, we want to own all the real estate we can. And we want to borrow heavily (short the falling dollar) to do it. But that means we need solid cash flows to control everything. And a soft labor market and real world inflation (the CPI is a joke) makes that “challenging”. Then one day, sipping a cup of coffee in an exotic location, it hit us! When if you could create cash flow from the very commodities that are going up because of all the easy money in the system? Brilliant! Well, because we’re us, it didn’t take long for us to find the guy with the answer. After a little chit chat, we put a microphone in front of his face and did a short segment as part of our show from the floor of Freedom Fest last summer. Then a funny thing happened. Our feedback page lit up and our audience wanted more! Always eager to please, we checked out jet set calendars and noticed we’d be in Scottsdale, Arizona where our pal Robert Kiyosaki has a very nice studio. So we snuck in, set up shop, and called our newest answer man (who happened to be in Colombia at the time) to talk cash flow from coffee farmland. When you think about it, the term “real estate” means “the King’s property”. That’s why they call rental property owners land lords. The serfs just got to work the land (farming and ranching) and keep 75% of the profits. They paid the other 25% to the King. The point is that basic real estate was farming. The tenants were farmers. The income came from the produce and was shared between the farmer and the landlord. So David didn’t come up with this idea. He simply brought it into the 21st century and we think it’s brilliant…and timely. But as David explains, it’s also a socially responsible endeavor. 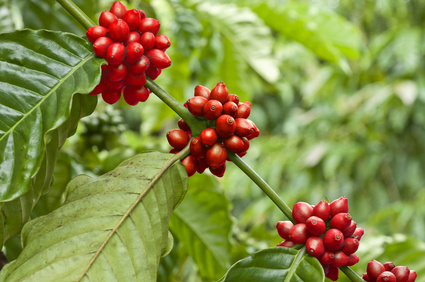 In their model, they buy coffee farmland from a poor farmer. They retain and retrain the farmer to improve the product and production efficiency. By getting more yield from the land, the poor farmer is now making more money than he’s ever made. He’s happy. The investor (that’s you) gets really attractive double digit cash flows. You’re happy. And the world gets more and better coffee. We’re happy. And aside from our coffee addiction, we’re also attracted to profits. And we love the idea of diversifying our holdings in various countries. Of course, owning land offshore provides some asset protection and privacy benefits. 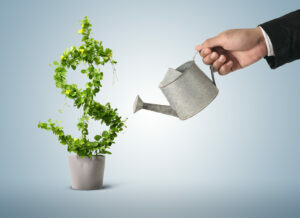 You can even use your self-directed retirement account to tack on some tax advantages. Plus, creating income off shore income denominated in something other than dollars has some interesting possibilities. Just ask Google, GE or Apple. But while all those things are great, the thing we like best is that we can create cash flows from a commodity that is in demand worldwide. See, when we buy residential real estate (which we love…we get to use leverage and we get tax advantages), we need to be careful to pick a good local economy. “Good” means it creates the kind of jobs that our tenants need to pay the rent. This is important because all your rental income is derived from the local economy. That’s why we like locations where there are industries that pull money in from outside the area. 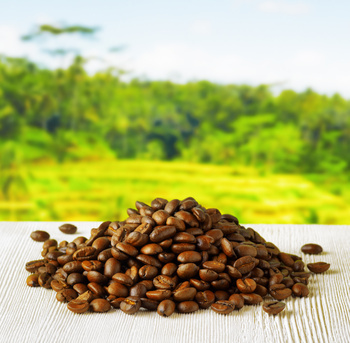 So grab a cup of Joe, and sit back and listen in as we consider how YOU can create cash flow from coffee farmland as part of your real asset investing strategy. Whether times are good, bad, uncertain or chaotic, it always makes sense to focus on fundamentals. And there’s nothing more fundamental than food. In this episode, we visit with the CEO of an international investment company. He shares the path of discovery his firm and their clients explored in the wake of the 2008 financial crisis. The conclusions they came to and where those lead are the focus of our conversation. We found it fascinating and think you will too! Even though the world is now in the “information” age, it didn’t abandon the industrial or agricultural age. It’s more like each age stacks on top of the other to create a bigger economy. But when things get shaky, sometimes it’s safer to get closer to the base. This is our interpretation of Liquid Investments post-2008 investment strategy. 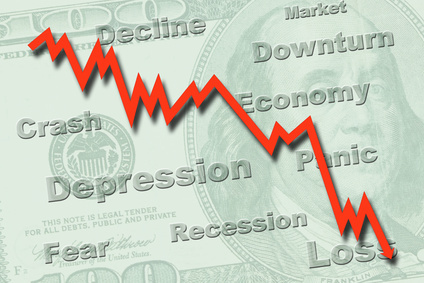 We know the stresses of the Great Recession compelled us to broaden our horizons and deepen our understanding of the macro-economic factors affecting real estate investors. In addition to our obsession the Fed and the bond, gold and oil market, our interest in both international real estate and farmland has been blossoming. 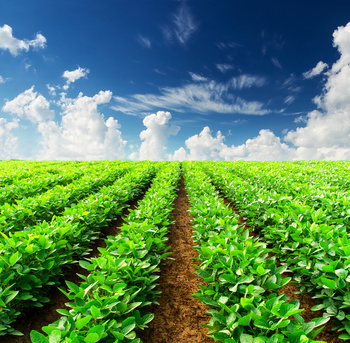 What makes agricultural investing so appetizing? First of all, it’s real estate. So for all the reasons we like real estate, we like farmland. Except for depreciation. You can’t depreciate dirt. But you can appreciate it, and of course, we do. After all, farmland is real. It serves an essential human need. And while they aren’t making any more real estate, apparently whatever it is that makes more people remains popular, and so the world’s population is growing. 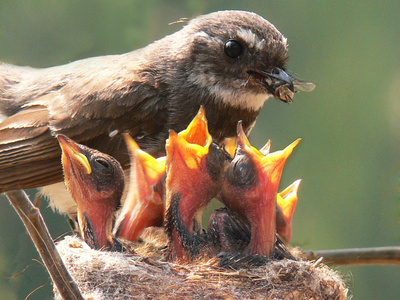 Of course, all those new people need food… no matter where they live. Rental real estate, whether it’s residential, commercial or industrial, provides a service (the tenant gets to use the building) that is LOCAL. That’s why we do field trips and spend time studying the micro-economic factors supporting the people and businesses in any community where we’re considering investing in rental property. But the product of farmland is a commodity (food) that can be sold ANYWHERE. 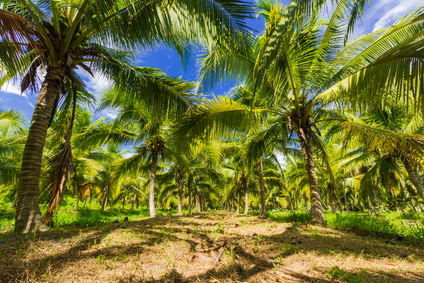 So whether you’re growing coconuts or coffee beans, just like oil, gas and gold, these food commodities can be sold and shipped to consumers worldwide….even places like China, India or Russia. It doesn’t really matter where the people live, as long as they like to eat. So you can invest locally, but derive income globally. Yummy. You may have heard about central banks (The Fed, the ECB, the Bank of Japan, etc.) practicing an economic rain dance called Quantitative Easing. The stated goal of this “easing” is to inflate prices. They allege this is desirable. We might beg to differ, but they’re not calling us for our opinion, so it is what it is. At last glance, the stock market seems to agree with the bankers – at least for the short term. But along with the fruit of high stock prices come the weeds of soft employment and rising consumer prices. For folks that have enough money to get in on the rising stock market (and enough brains to get out before the next crash, er…”correction”) can offset their lost purchasing power with more capital gains. Good for them. But the working class people…you know, the kind of people who live in your rental property…can’t afford to invest in the stock market, so they get squeezed between soft wages and rising prices. There’s no wealth effect in their portfolios to compensate them for the loss of purchasing power. This is one of the main reasons we focus on lower priced residential markets right now. The point is that while QE squeezes your tenants and puts downward pressure on residential rental income, it puts UPWARD pressure on commodity prices. So if you’re a producer of commodities (which you are as a farmland owner), you’re hedged against inflation, and diversified against local economic disruptions. That is if the cost of food goes up, so does your income. Think about it. Food, in it’s most basic form, may end up in a lot of places. Cheese can end up in a cheap frozen pizza you grab at the market, on in a high end pasta dish prepared at a fancy restaurant. But when you trace it back to the root (or udder, in the case of cheese), it came from the farmland. So whether the economy is soft and more frozen pizzas are sold, or the economy is hot and more people eat out at fancy restaurants, the cheese producer gets the order. But it gets even better…. Long time listeners to The Real Estate Guys™ radio show know that we’ve been longtime advocates of international diversification. There’s a whole crop of good reasons including privacy, asset protection, generating offshore income in a low tax jurisdiction (the same way Google, GE and other corporations do), and our personal favorite: having a business related reason to travel. We could go on, but you get the point. Of course, as in all investing, there’s a lot to consider. What country? What crop? How do you find opportunities? How does it all work? We knew you’d have more questions. So we got our British friend Anthony Archer on the line (it’s like talking to James Bond) because he’s been researching all of this for several years. And it isn’t just theory. Anthony and his team have been weeding out opportunities, cultivating relationships and growing their investors’ cash flows and equity by putting these principles into practice. So listen in and harvest the benefit of Anthony’s experience. And to reward you for your diligence in listening through the whole episode, at the end, we tell you how to get his excellent free report on the topic. In fact, since you’ve made it all the way to the end of this post, your reward is you can go ahead and click here to get the report now. Good job! But remember to listen to the show too!